The Premier League title race took another twist over the weekend with Leicester City dropping points at bottom club, Aston Villa, and Manchester City taking Crystal Palace to the cleaners so the onus was yet again on Arsene Wenger’s side to come up with the goods in a ground the club is known for having poor results. The biggest news of the day was that Mesut Ozil was going to miss the game due to an inflammation on his foot, so the manager didn’t deem it necessary to risk his most valued asset. Alexis Sanchez was believed to be fit enough for the game but the manager threw caution to the wind by allowing his Chilean hamstring to some more rest. This ultimately meant that the lads that would be selected on the day would have to give their all for the Gunners title bid. Ozil’s absence made Wenger switch to 4-3-3 with Alex Oxlade-Chamberlain and Aaron Ramsey anchored by Mohamed Elneny Mathieu Flamini. Theo Walcott and Joel Campbell flanked the red-hot Olivier Giroud. As you expect from a typical Stoke vs Arsenal game, the lads lacked cohesion but it was like a battle on the pitch. The first clear-cut chance arrived when Campbell unleashed his inner Ozil with a sumptuous pass to Giroud but Jack Butland made himself big to deny the Frenchman from continuing his goalscoring form. Giroud had another chance to put Arsenal ahead when he reacted first to a corner kick and headed a goal-bound effort that was parried to safety by the ever-impressive Butland. From then onwards, it was a Stoke barrage and Arsenal had Petr Cech to thank for a string of superb saves to keep the match at bay. There was a double save in particular from the legendary Czech goalie that made my jaw drop from my mouth. Then there were the punches to safety and claiming crosses to those lovely Adidas gloves of his. Shortly after the game, Hector Bellerin spoke about how Cech gives the team some confidence and I agree with the Spaniard. The goalie has kept 10 clean sheets in the 22 Premier League games he has featured and in these games the clean sheets have been ‘hardly routine’. When he was departing from Chelsea to Arsenal, John Terry stated that Cech would give the Gunners 12 to 15 points this season. I believe he has done that and even more. Wenger was criticized for not signing any outfield player in the summer, but in Cech, he got himself a gold mine and I don’t see the likes of David Ospina or Wojciech Szczesny usurping the legend unless it’s a lower competition fixture or he suffers some injury. Having some solidity at the back offers the right platform to attack and Cech has proved his worth to his manager, his teammates and we, the fans. Watching the lads draw at Anfield was very painful but this draw in Britannia was highly welcome, especially when you think of the fact that Chelsea, Manchester United and Manchester City were all beaten on the ground. However, it makes Sunday’s game against Chelsea an all-important fixture as Manchester City play away to West Ham and Leicester hosts Stoke. 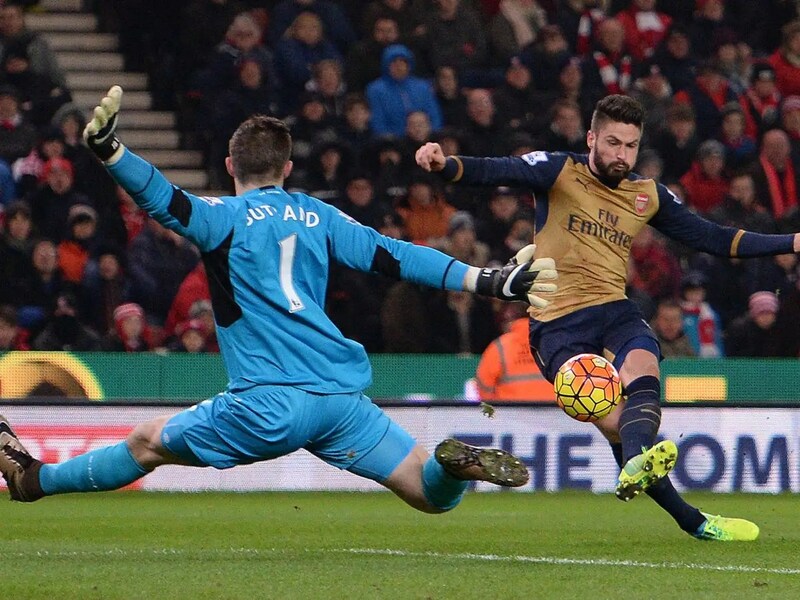 The Gunners are still on top of the Premier League table after a hard earned point at the Britannia Stadium. Posted on January 18, 2016, in Arsenal, Football, Match Report, Premier League and tagged Arsenal, Football, Premier League, Stoke. Bookmark the permalink. Leave a comment.